Find Similar Page Text "Print Admit Card"
On the 8th of January 1947, the University of Rajputana appeared like a little star on the educational horizon of pre-independent India. 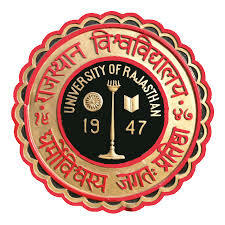 That little star, now called the University of Rajasthan is shining "like a diamond in the sky." Having acquired the status of University with Potential for Excellence, today, the University celebrates its 68th Foundation Day. Over the years the University has redefined itself keeping in mind the changing trends of the educational system.